12th February 1554 saw one of the greatest injustices of English history, namely the execution by beheading of Lady Jane Grey, a 16-year-old girl who had been made queen by virtue of the machinations of powerful men but who had to pay the ultimate price when their plotting came to nothing. Jane Grey was the daughter of Henry Grey, the Marquess of Dorset, and his wife Frances Brandon, whose own mother was the sister of King Henry VIII. This made Jane a cousin of Henry’s son Edward, who reigned as King Edward VI for only six years before dying in 1553 at the age of 15. John Dudley, Duke of Northumberland, had been the real power in the land during Edward’s reign, and he was determined to exclude Mary, Edward’s Catholic sister, from the throne when Edward died – an event that was long expected given his poor health. There is, however, much conjecture over how much influence Edward himself had in this matter, as his will excluded both his sisters from the succession, including the Protestant Elizabeth. He regarded them both as being illegitimate, which left Jane as the next in line. Northumberland was certainly all in favour of this plan, and he sought to cement his own position by marrying Jane to his son, Lord Guildford Dudley. 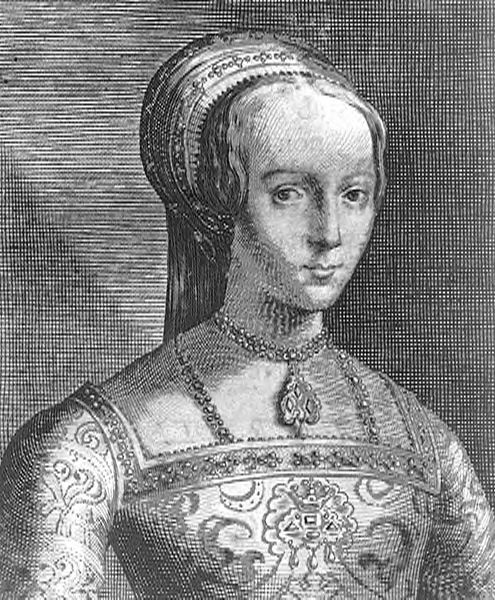 There is plenty of evidence to suggest that Jane was not at all happy with this arrangement, nor with Guildford’s demand that when she became queen he would be declared king. Jane also had to be persuaded to accept the crown on Edward’s death. However, she was a 16-year-old girl who was honour bound to obey her parents, who, along with her father-in-law Northumberland, demanded that she become queen. However, the plot fell apart mainly due to the attitude of the common people. It is often thought that the whole population of England switched allegiance from Catholic to Protestant during the reign of Henry VIII, but this is far from the truth. This meant that, even though mighty lords such as Northumberland and Dorset could not stomach the thought of a Catholic monarch, the same did not apply to those further down the social scale. The net result was that Princess Mary was accepted by the vast majority of the people as the rightful queen and support for Lady Jane was very thin on the ground. Mary entered London in triumph and “Queen Jane” was deposed after only nine days. At first, Mary was inclined to be lenient towards Jane, whom she saw, rightly enough, as having been merely a pawn who had been promoted to queen in a ruthless chess game being played out by others who were far more blameworthy. Indeed, Jane may well have escaped the axe had it not been for her father’s foolish action in supporting the plot of Sir Thomas Wyatt to unseat Queen Mary by force of arms. Mary knew that she had to remove the focus of such rebellions from the scene, and this meant that Jane had to die to prevent anyone else trying to restore her to the throne. All accounts state that Lady Jane went to her death courageously and refusing to blame anyone else for her downfall. However, it is still a tragedy that a beautiful and intelligent young woman had to die due to the accident of having been born into a situation that determined her fate.